Houston, TX (Restaurant News Release) Fajita Pete’s is turning the big “one-zero” this month and is going all out to celebrate. FREE fresh fajitas catered and delivered or a half-gallon of margaritas for just $10! From Feb. 11 to 17, guests who order one pound of any fajitas – beef, shrimp, chicken, veggie or mixed – will receive a FREE half-pound of Chicken Fajitas. Not in the fajita mood? Get a half-gallon of margaritas for $10 and cheers to 10 years of Fajita Pete’s! Must choose one special per order. Limit one half-gallon of margaritas per order. Margaritas available at Houston-area locations only. This sizzlin’ special is valid for pick-up, dine-in or delivery, so you can celebrate from your house, office or event location! If you’re hosting a large gathering, feeding the entire family or just love leftovers, this celebratory fajita offer is valid for customers purchasing up to 3 pounds – that’s 1.5-pounds of FREE Chicken Fajitas. 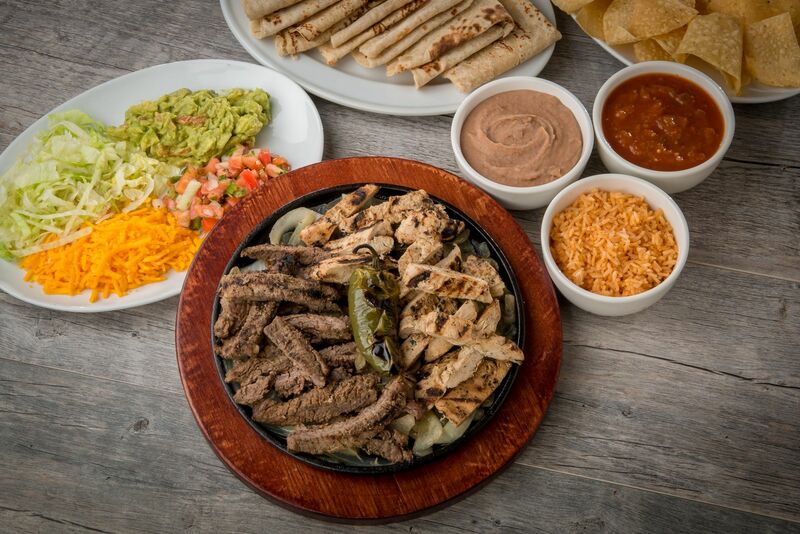 Fajita Pete’s fajita meals are served with grilled onions, jalapeños, fresh hand-rolled tortillas, house-made Mexican rice, refried beans, shredded cheese, pico de gallo, guacamole, lettuce, and chips and salsa. One pound typically serves two to three people, so guests can feed up to five for the price of two! Fajita Pete’s began as a full-service restaurant with a full bar, 60 tables and a small dance floor. After Mora noticed an abundance of catering requests, he decided to move the restaurant and focus on catering and delivering the fresh fajitas the restaurant became known for. Over the next nine years, the brand expended through Houston and Dallas. The rapidly growing chain currently has 11 locations across Texas with five additional locations in the pipeline for the first half of 2019. For a complete menu and list of current locations, visit fajitapetes.com.